A brilliant scientist, Robert Neville, is possibly the last human survivor of a deadly man-made virus that has decimated the world. But he is not alone in what remains of New York City. As Neville desperately seeks a cure and sends out radio messages seeking other survivors, he is constantly threatened by victims of the plague who have mutated into carnivorous predators. 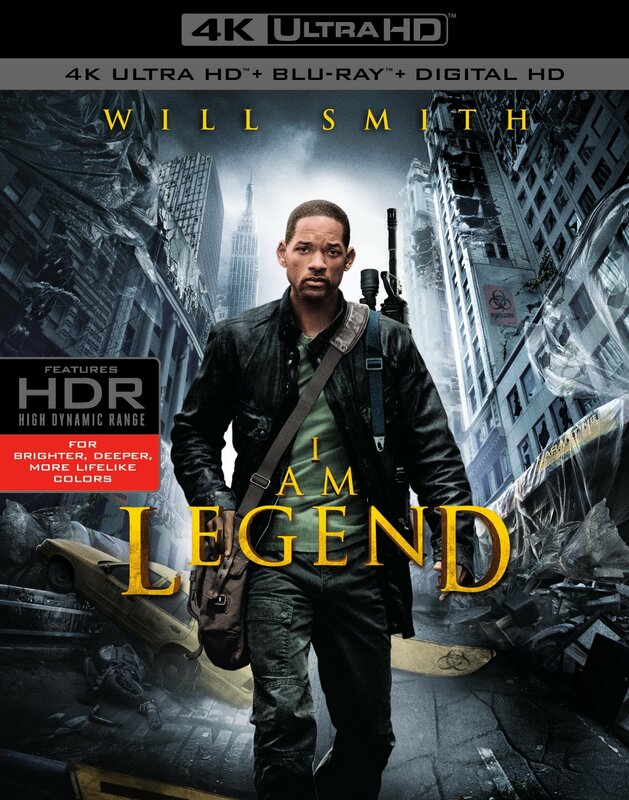 Will Smith delivers a commanding performance as Robert Neville, Manhattan's solitary survivor after a devastating virus eradicates the population's majority and turns the remaining few into deadly, mutated hunters. After losing everything he knows and loves, Neville's singular focus is to find a cure for the infection, regardless of the deadly risks at every turn. Synopsis: Robert Neville is a brilliant scientist, but even he could not contain the terrible virus that was unstoppable, incurable, and man-made. Somehow immune, Neville is now the last human survivor in what is left of New York City and maybe the world. For three years, Neville has faithfully sent out daily radio messages, desperate to find any other survivors who might be out there. But he is not alone. Mutant victims of the plague -- The Infected -- lurk in the shadows... watching Neville's every move, waiting for him to make a fatal mistake. Perhaps mankind's last, best hope, Neville is driven by only one remaining mission: to find a way to reverse the effects of the virus using his own immune blood. But he knows he is outnumbered, and quickly running out of time.